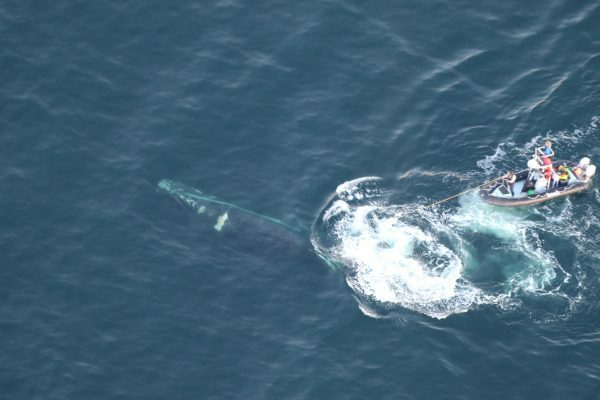 Wildlife officials working from the air and sea more than 20 miles off the Gulf Coast freed a North Atlantic right whale recently trailing a heavy crab pot. The whale was spotted a day earlier during an aerial surveillance by a crew with the Florida Fish and Wildlife Conservation Commission. 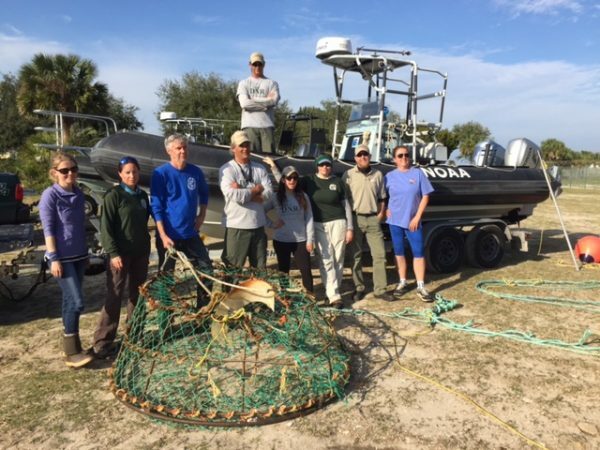 The area near the Georgia and Florida border meant that the rescue would draw on the resources of agencies from both states and the National Oceanic and Atmospheric Association. After tagging the whale with a buoy, crews returned the following day to cut the lines free. Using a specialized design knife, a boat with a crew from the Georgia Department of Natural Resources rode up alongside the whale and cut it loose. Biologists retrieved a rope with a large round trap that the whale had been dragging. It appeared that the whale was completely free but they are not entirely sure. As it swam away, George said he felt a great sense of accomplishment. “We are really excited,” George said. Watch the video below for the exciting action when the whale was freed.